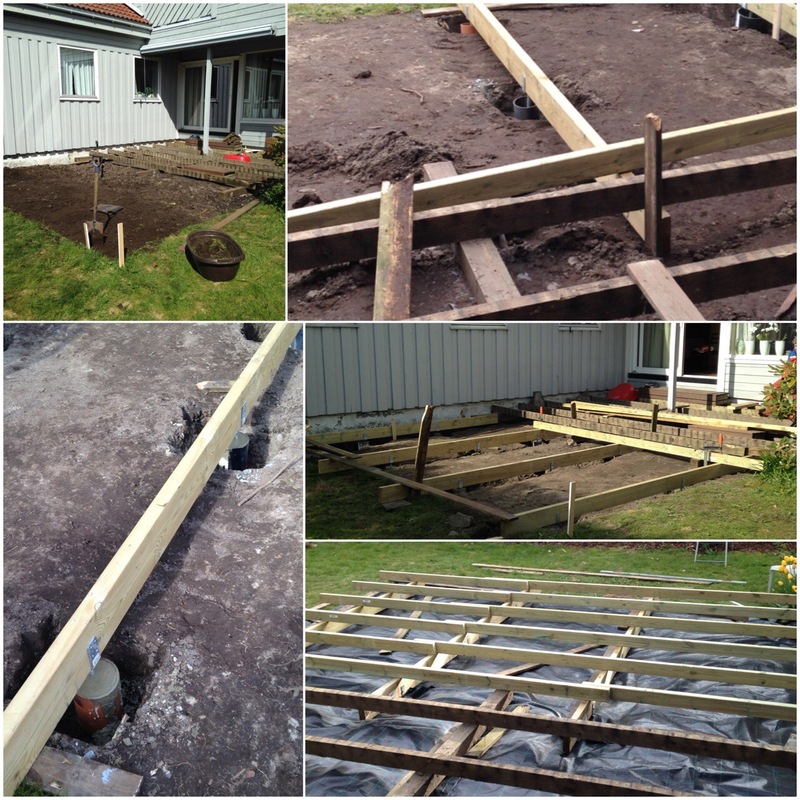 Spring project – One big wooden deck! B and I have been a couple of busy bees lately (actually, since we came home from England, helping mum out). 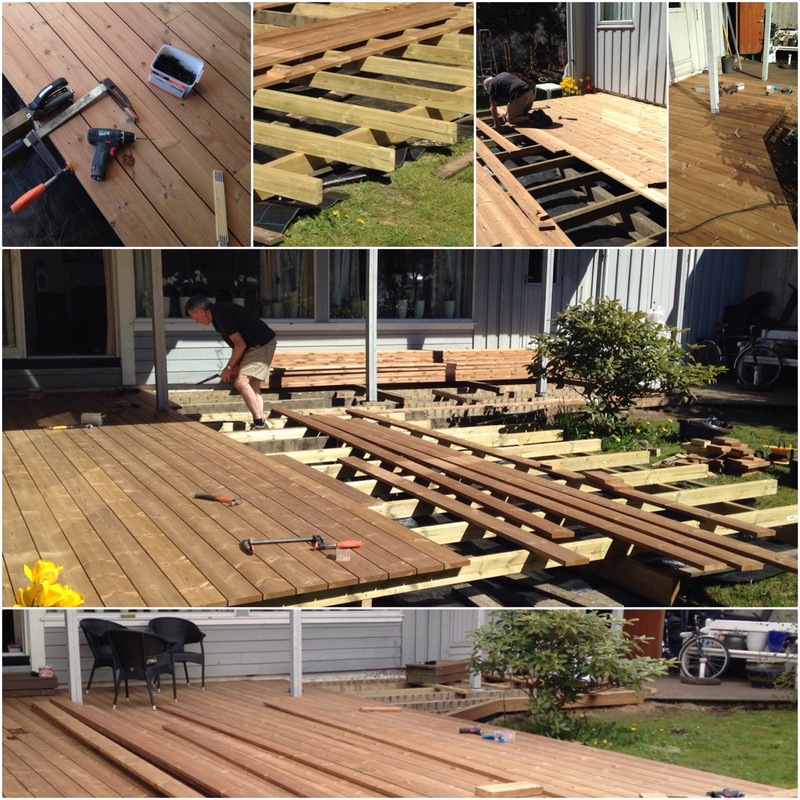 We’ve been working away at building a 540 square feet (about 50 square meter) wooden deck. 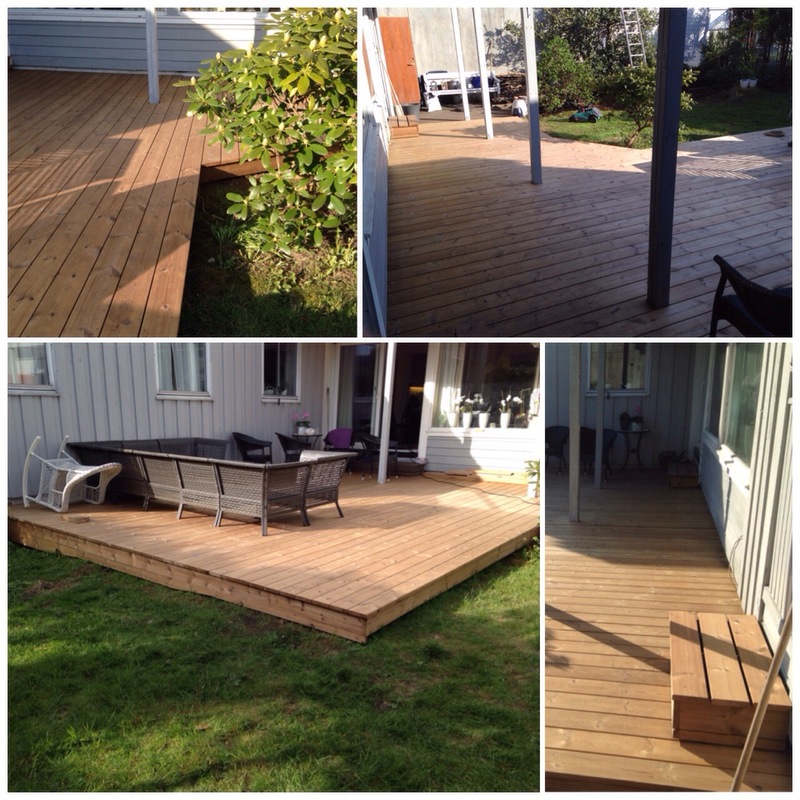 Yep, you heard right.. a itzy bitzy 540 square feet deck… just kidding, in our world this is a big deck! 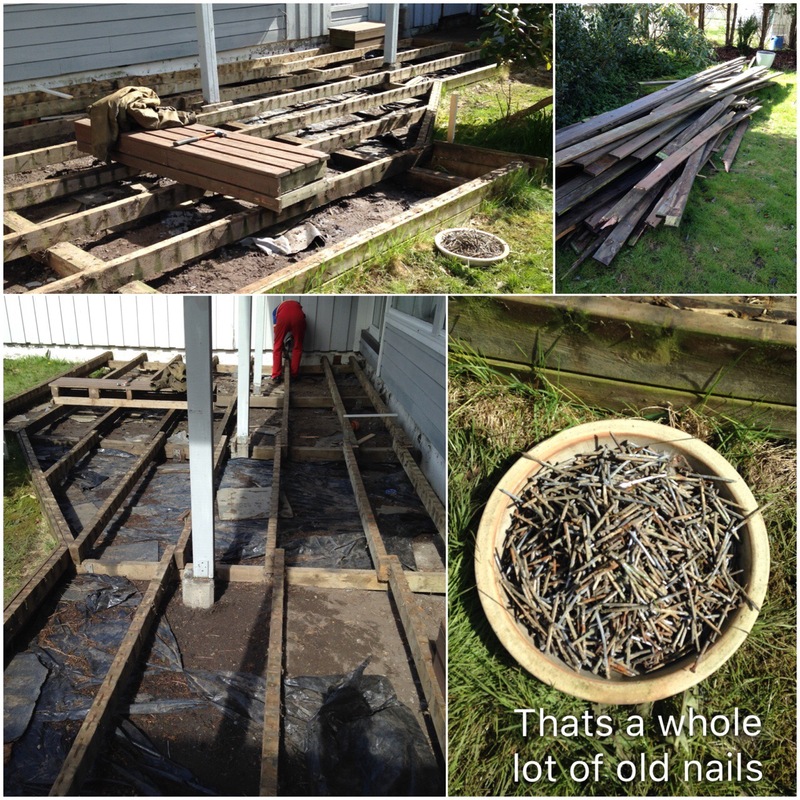 Last fall, we visited a former colleague of mine, and she happened to mention she’s been wanting (for quite a while now) to extend her current deck, with about 150 – 170 square feet. Little did we know at that time, that this tiny little project would take on a life of it own (which I guess things have a habit to do), and morph into a 540 square feet project instead. As the story goes, there was a good reason though. 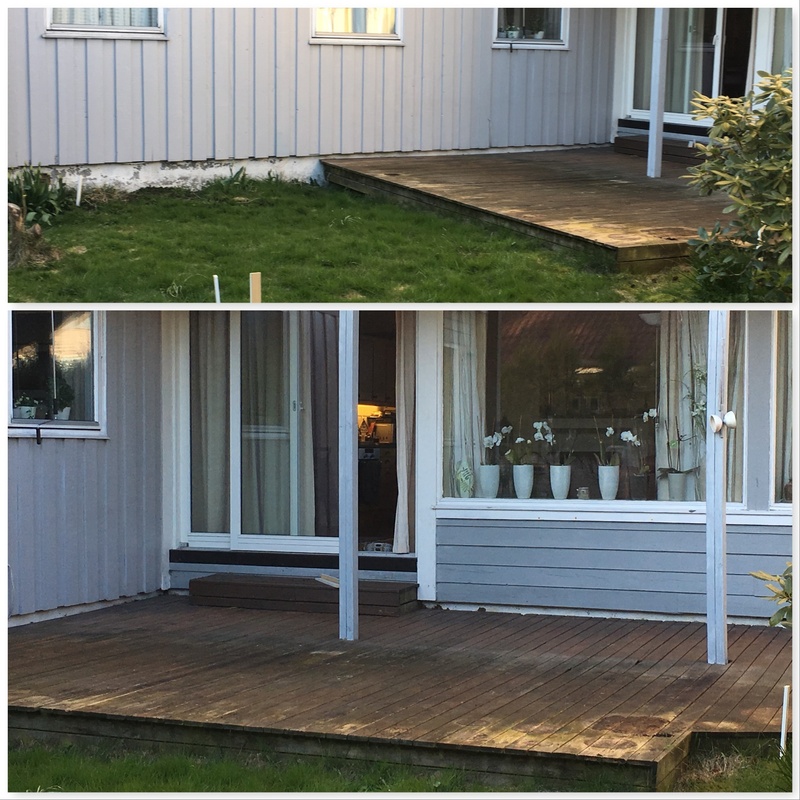 There was a bit of discussion on how to add the extension to the old deck, and make it look half decent (the old part was close to 40 years old). So we all decided that, for the deck to look it’s best, we would remove the old deck boards and put down brand new ones. And presto, now we are talking 540. Turns out it was a good decision, as a few of the old deck boards were in bad shape (some even rotten). It also gave us the opportunity to strengthen the old wooden frame (which had some flaws from earlier builds), and replace areas that had had a little to much wear and tear. So there you have it… This is where our time has been going the last few weeks (which is why you haven’t seen me on the bloggosphere much). What do you think…? Approved? Can’t wait to see some flowers on it later this summer… I’m sure we can sneak a visit to check it out, when she has it all decked out (see what I did there 😉 ) with furniture and plants. 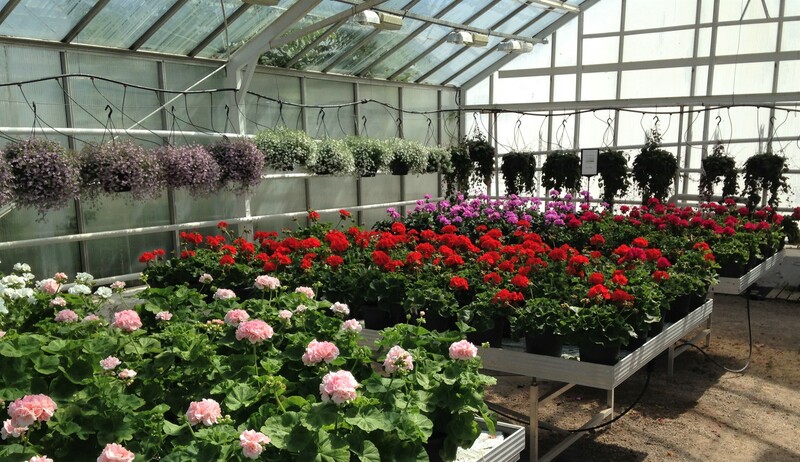 While we’re waiting on spring! I have raised flowerbeds with supposed to be white(ish) edges, that was in desperate need for a clean! 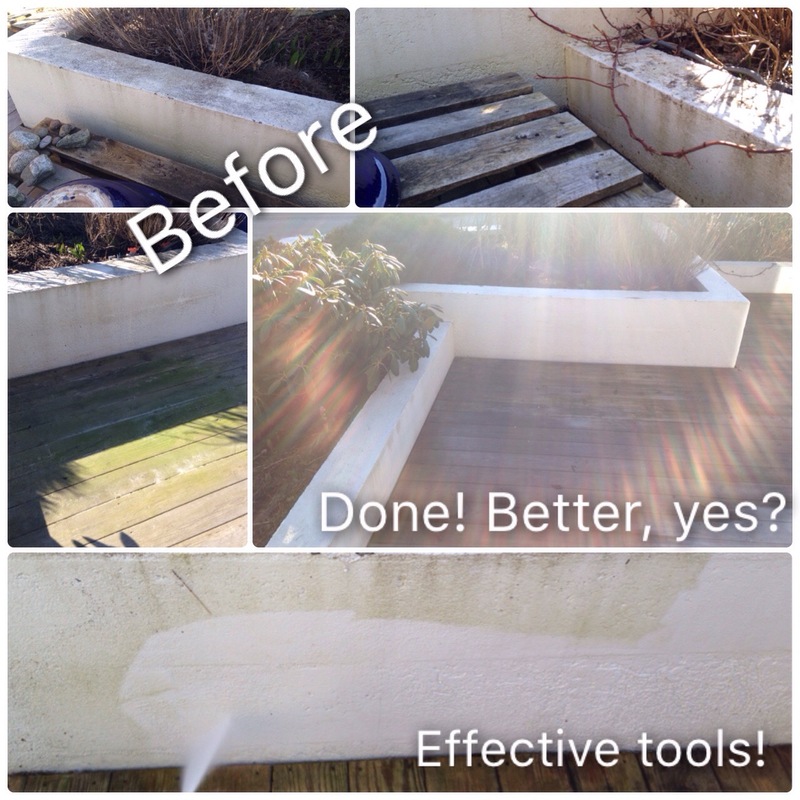 Not only did the edge need a clean, it also needs a lick of paint… but I have to wait on warmer weather for that particular task. 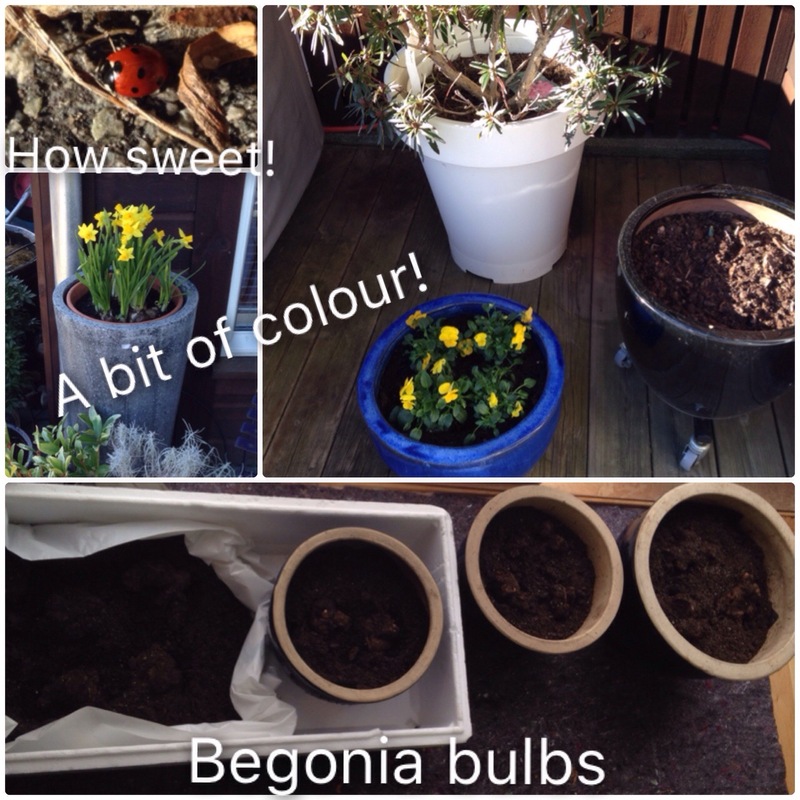 To spruce up the place a little, I splurged on a tiny, tiny bit of yellow 🙂 and I got my begonia tubers (bulbs) into some soil, for them to sprout inside first. Oh yes, and before I forget.. guess what I found? This years first ladybug! 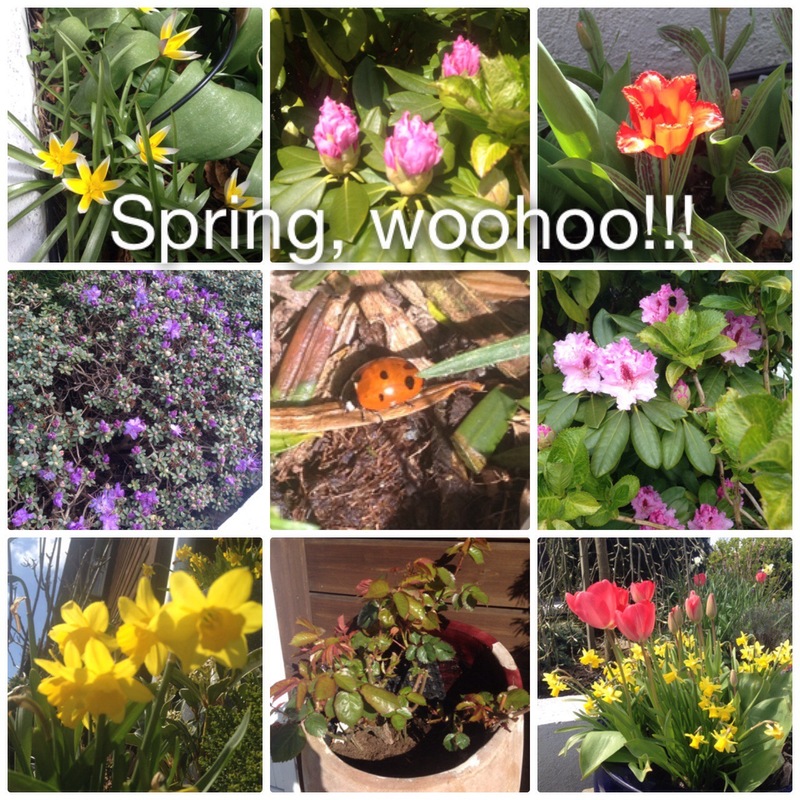 June in a nutshell and a garden update! I’m still playing a bit of the catch up game, getting my posts aligned with the month I’m in, so I’m apologizing up front for the fact that there are two monthly sum ups, right after each other. I mentioned in my last post, that the plants have been having a hard time this year, figuring out if they really want to bloom or not, and I’m happy to say that June brought some life to them and they finally decided around the middle/end of June that it was time to pop some colour 🙂 The pictures are from June 23rd. 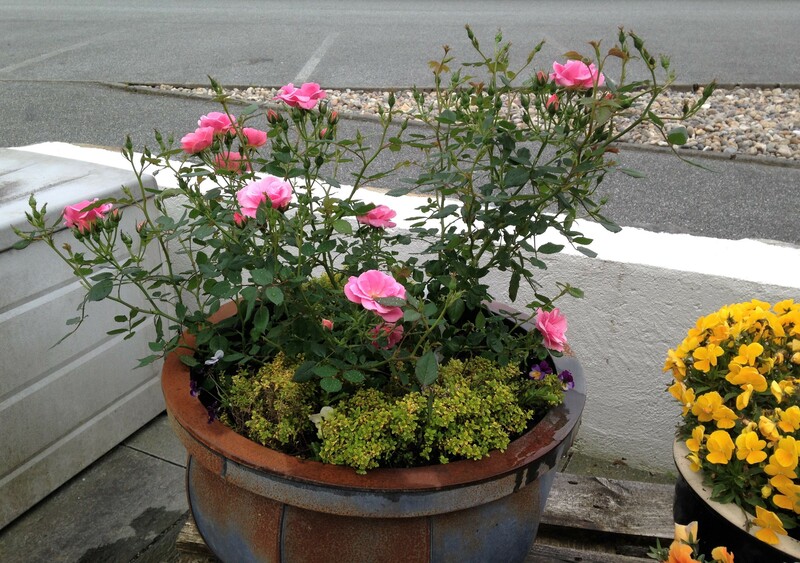 And would you believe it – it took until June 28th, before my first rose sprung! Now, I don’t mind it being a late bloomer 🙂 As I’m greeted by a heavenly smell every time I open my front door. Now, there is that! Since I told my office the bad news early June, I’ve been out and about as much as possible, to keep my mind off it all. Between walks, mowing my neighbours stamp sized lawn, potting plants, mixing mulch, working in the garden, helping a friend shop for IKEA wardrobe and kitchen items, painting a tiny window frame and mowing the lawn at my step-mums allotment, throw in some more walks, and hanging out a lot with friends, I averaged 6 days a week on my activity scale. This time around none of them were proper workouts, as my focus was just being out. So what about the normal stuff? I’ve done nil, zilch, zip! Yes I know, me bad, I just didn’t have it in me. Back on schedule – except as you see from the allowances below, I still struggle a bit with the eating out! Eating out – we are back to old habits, probably because I have been out a lot, and we did just as bad as during May. Buying non essentials – yes – a thin packable down jacket, perfect for those chilly spring/summer mornings. I have been looking for a jacked like this for a very long time. And now I found it, so…. You see, I’ve been busy, with just about everything but the packing party! We have had some really wonderful weather here the last few weeks (in between a few rainy days) and I’ve been prioritizing the outdoors, rather than the indoors. 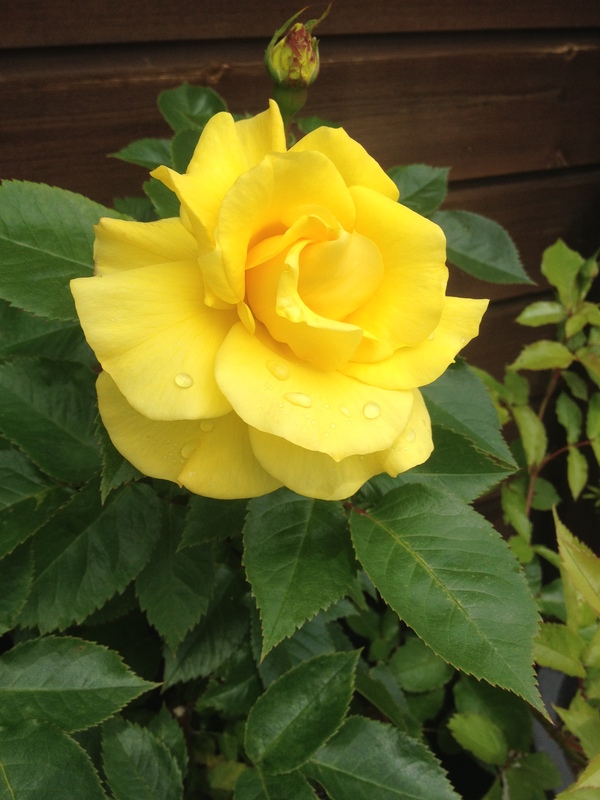 Part of my reason for moving towards minimalism is to have more time to spend on the things that gives me energy and joy, and as some of you know, I love, LOVE my garden 🙂 I love getting my hands dirty and seeing the results from my garden work. I’ve been spending some time mixing up the “perfect” potting soil (800 litres worth), consisting of a mix of what we call “living soil” (which is really warm composted soil/mulch), sand, peat and cow manure compost (great potting soil consisting of cow manure mixed with peat). 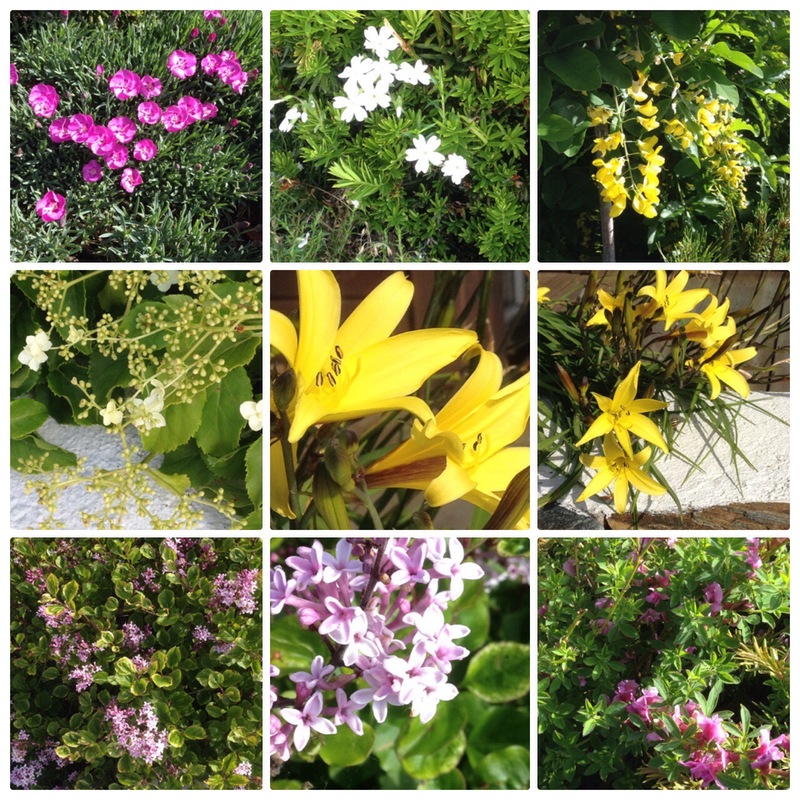 I mixed a big bunch last year to refill my raised flowerbeds, and the plants have just loved it. So I thought I would mix up a big batch this year also. Especially since I knew my sister and one of my neighbours needed some as well. 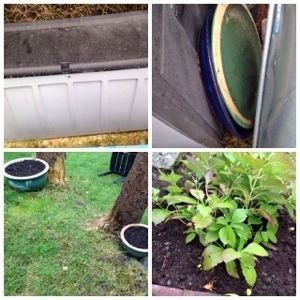 After having mixed part of the load above, I took about 300 litres of the stuff, over to my sisters place, to fill up a huge planter box she got from me earlier this year (hmm, guess I really should take a picture of it, to post among my decluttered items). 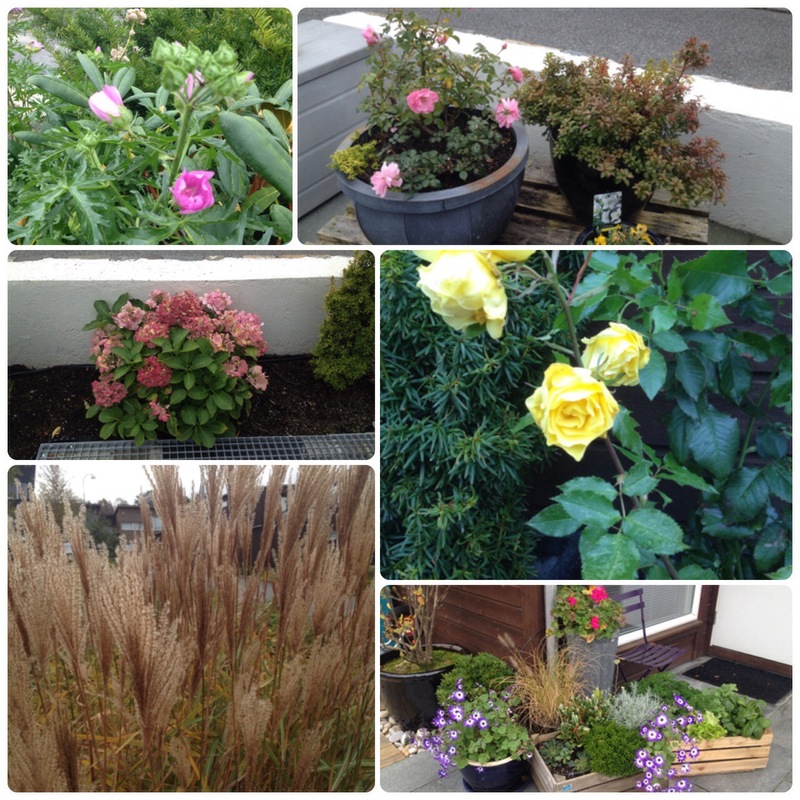 In addition to doing a bunch of my own stuff in the garden, I’ve been helping out a few of my neighbours as well. Let’s see… I’ve been planting a whole bunch of plants (using my mixed soil), I spent a few days cutting hedges (my part of the hedge took all of 10 minutes…) and I’ve checked the roof and cleaned the gutters, on all 7 units in my town-home (I kinda figured that since I was on the roof anyway…). If the weather holds, I think I’ll pull out the pressure cleaner and start attacking my white (or not so white) concrete raised flowerbed edges, to clean them up some. My plan is to paint them this year (I think). But as the forecast predict rain starting today, I might hold of on this job for a little while longer… we will see. A few days ago I decided to pull out my Skikes and try them out, for the first time ever. It was hard going (lots of hills here), and not a pretty sight I’m afraid, I looked like Bambi on ice, so after about 1,5 miles I was done in, and threw in the towel on that first try. The day after my Skike “fiasco” I decided to pull out my Rollerblades instead, to see if I could get my blading balance back before I try Skikes again. A much better idea, if you ask me! It was my first time on them since 2009, so a hint of Bambi here as well 🙂 , but it sure rolled a lot better than the Skikes. A small 2,5 mile trip this time around, but hopefully with practise, I can get back to the 7 mile trips I used to do, when I lived in Houston. 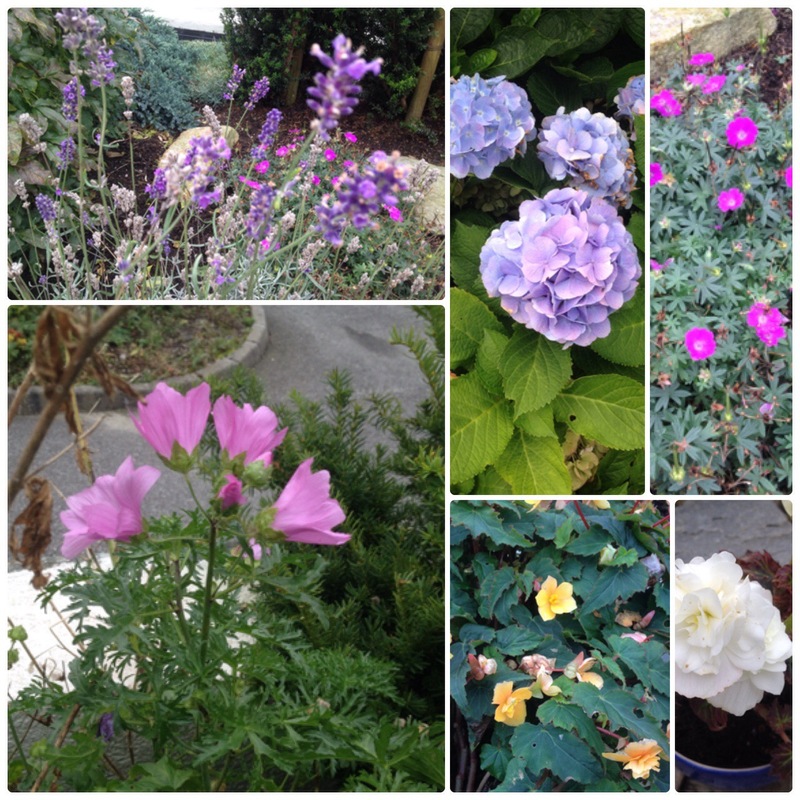 My 2014 goals – how did I do? In 2009, after having lived in the US for two years, I came home with enough stuff to fill up a entire house (after having furnished an empty condo in Houston), and I already had a house full. Since then I have slowly but surely gotten rid of stuff, and I’ve dwindled it down to one household again. 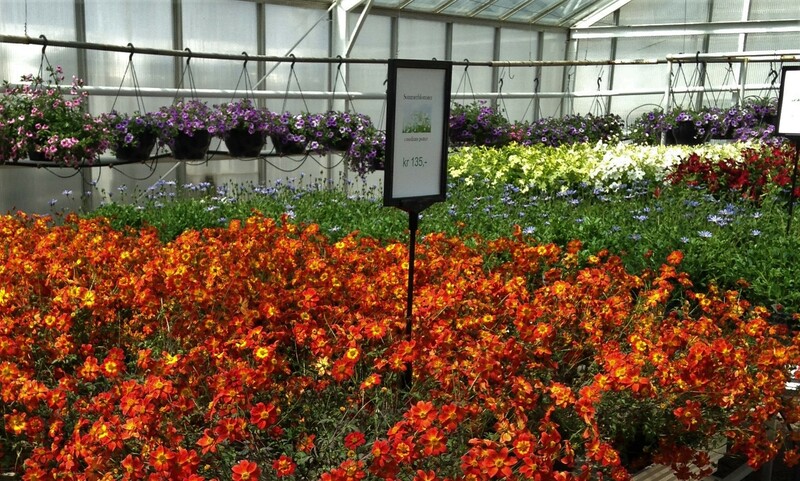 But as good as I had been at it, I felt that there was still more that could go out of the house. Which is why I decided a year ago that I would make 2014 a year to declutter and living with less. I decided my main goal, would be to get rid of an average of at least one item a day, all through 2014 – yepp, 365 items! I also made a second goal, a promise in my post I want. 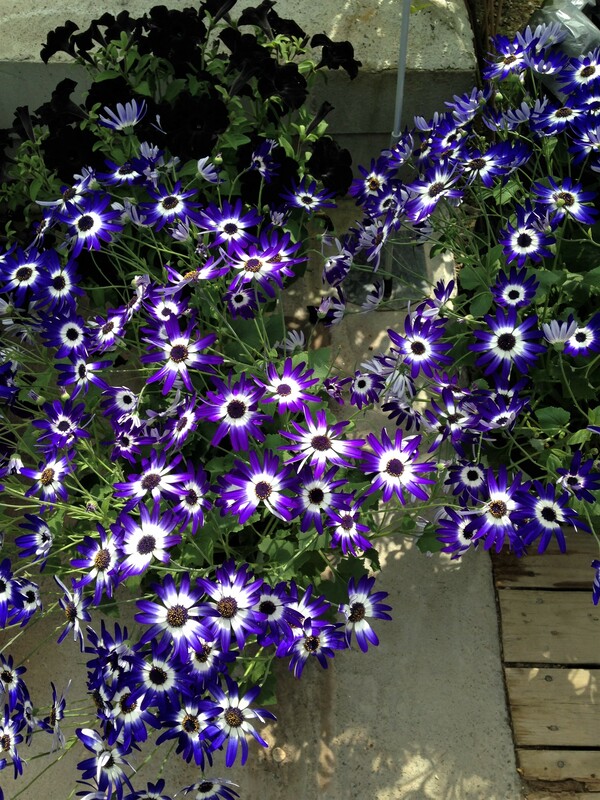 I want – I want it now!!! – to make an effort to buy only necessities, needs rather than wants. Have I managed what I set out to do? The short answer – YES! I did better on this during 2014 than I did in 2013 (which was the first time I tried this). I replaced broken items, only if I had too. I used up before replacing or even did not replaced at all. Eating out – the goal was to cut down to half the amount of times we (a friend and I) eat out compared to 2013 – we didn’t quite manage, as we only cut 39% on times. But what we did manage was to cut the amount we spent, with more than 50%, which was ultimately the goal. 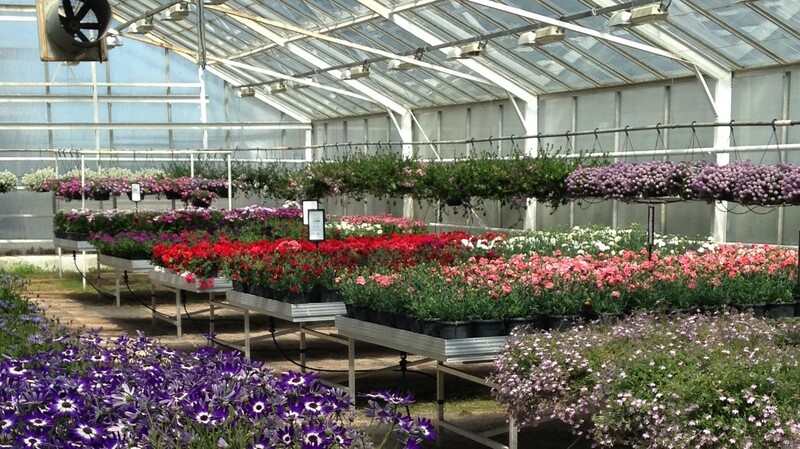 Flowers and plants – The goal for 2014 was to cut down to procuring less than half of what I normally would – Done 🙂 I did even better than half as I cut my procurement of plants for the garden closer to 70% compared to any other years. So all in all, I would say that I passed my goals for 2014! 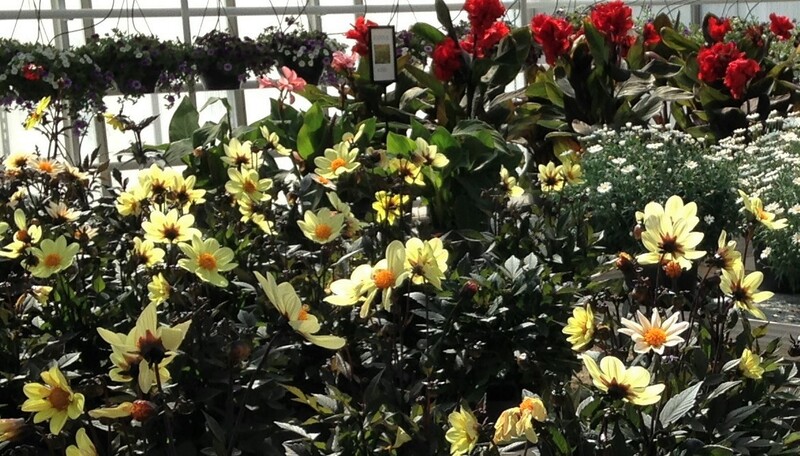 It’s been getting colder and colder outside, and it’s time to prepare the garden for the winter season. On the west coast of Norway we never really know what winter we will have. A couple of winters ago we had so much snow it wasn’t funny (well actually it was 🙂 ), then there is the no-snow-freezing winter and last year we had a mild wet winter. So you see.. it’s hard to know what to prepare the garden for. Last weekend, I cleaned up my water-feature and packed away the power, pump and lining. I packed away the pump/filter for my automatic watering system and cleared away some pots and plants. I’ve washed all my patio furniture and yesterday they were all packed together under the furniture cover (living in 807 square feet.. 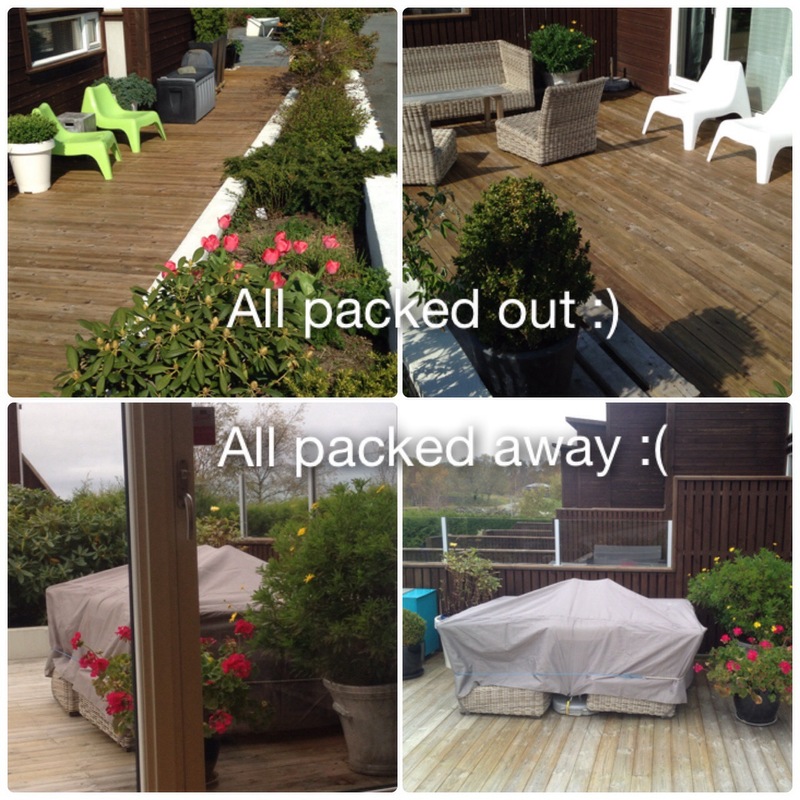 I have NO storage for my outdoor furnitures, except the pillows). I have to admit, I’m not to fond of this time a year, when I have to pack “summer” away. It makes my patio (and me) a little sad 😦 The view from the living-room isn’t quite as cosy as it it during the summer months. It’s not like I don’t like winter. Winter can be really beautiful, especially when we have those beautiful cold crystal clear days. My step mum have two apple trees on her allotment. One little one and one big brute of a tree! Somewhere along the way she decided it be a good idea to pick the apples, but she didn’t want any.. would I? There are a couple of places in town that lets you do something about your apples. 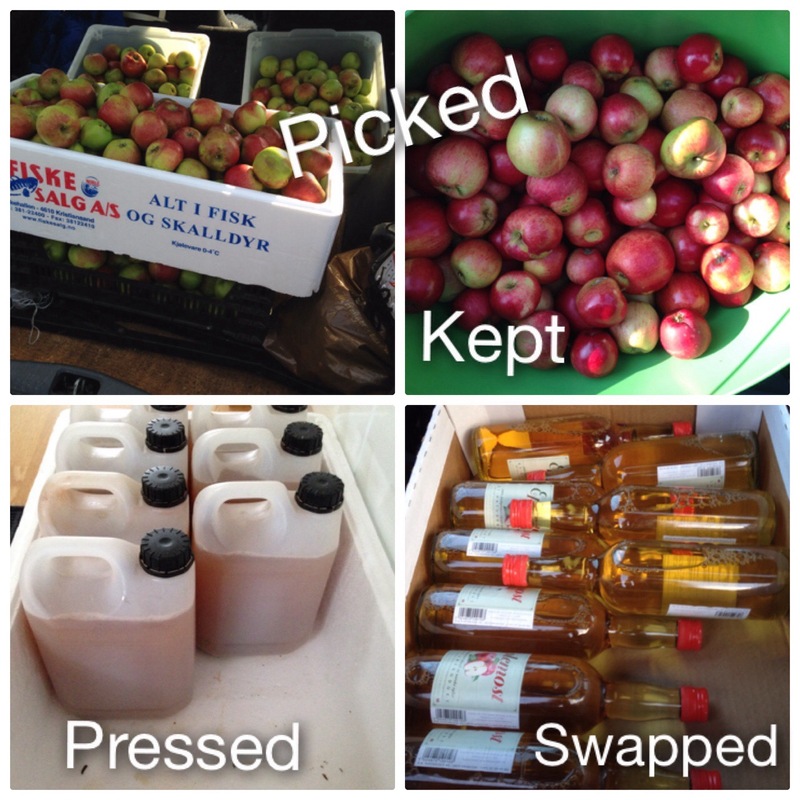 One place will exchange 1,25 kg of apples for a 0,7 litre bottle already made apple juice (of the type that has been treated to last a while). You pay for the juice, but you pay less than normal, since you are bringing the apples. There is another place in town where they will press apples into fresh apple juice for a small fee. Since this is not treated apple juice (pure fresh, as if you used a juicer yourself) they will only last a few days, so you will be needing some room in your freezer for storage. Since this was the first time ever, trying this (and we had no clue if the apples were good or not), we decided it be a good idea to try both of the options above. We delivered about 38 kg to the “swap” place! Which amounted to 30 bottles of juice at reduced price. But since we had no idea if that juice was any good or not, we decided to buy only 15 bottles this time, which gives us a another 15 we can buy later. 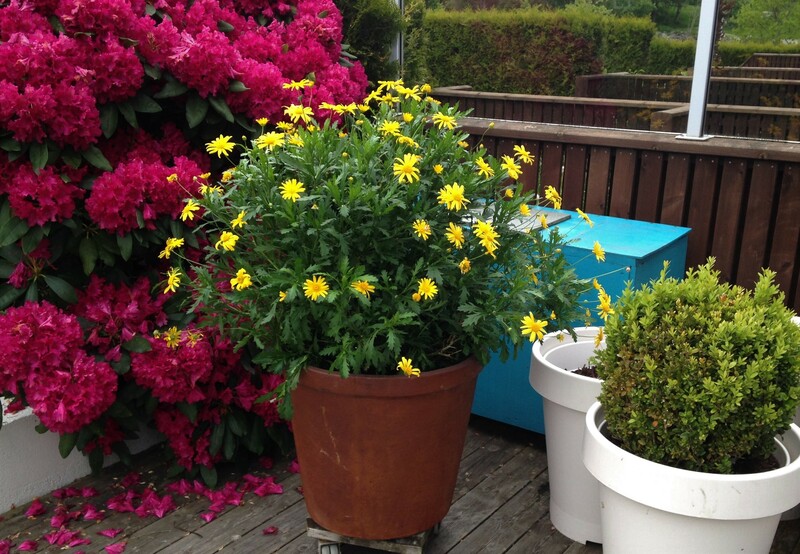 At the same time I figured I could clear out some more stuff, and she ended up with 3 flowerpots, 2 trays for the flowerpots and one of my Hydrangeas, in addition to the garden storage box. Today though, I went over to her allotment to pick some apples from one of her apple trees 🙂 and I figured it was as good a time as any, to show you the things that made it out-the-door (or out-of-garden as it was) before I left for my Houston trip. When I opened my front door this morning, I was welcomed by this friendly visitor, who seems to have fallen “head over heels” with one of my plants. 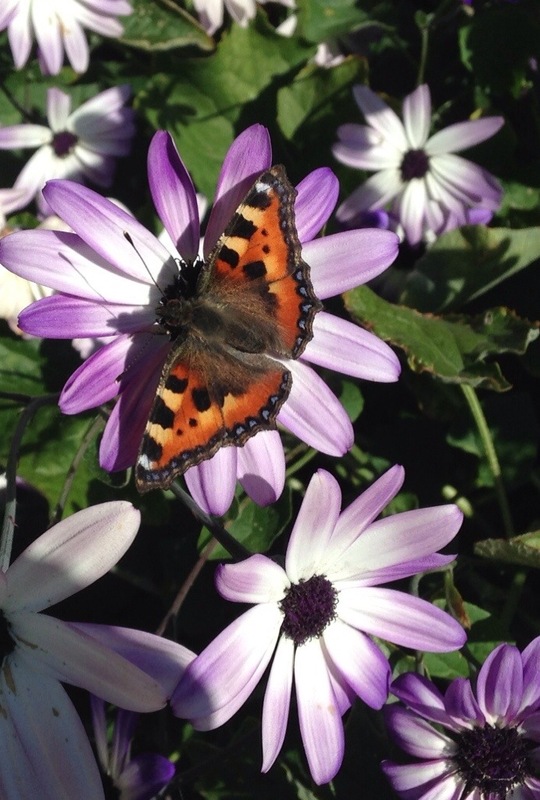 Visitors like this, brightens my day, and makes it feel like summer is here.